What’s the answer to rewarding breeders fairly? In my last blog I raised the issue of getting a fair return for breeders – the people who take high risks to produce their product (a racehorse) which goes on to be an integral part of the wider industry product (a race on which betting can take place). What is a fair slice of the pie for breeders of successful racehorses? Other major players in the production line charge for their time and expenses – a recognition of the resources that go into a performing horse regardless of whether it wins or comes last. For example, drivers have a set fee for each drive no matter where the horse gets in the field, currently at $75 +gst I think. And trainers have their daily rate for training charged to owners, plus other costs like gear and track fees, vitamins, worming, transporting etc which are also reimbursed. Then on top of that, both trainers and drivers receive a bonus each time the horse performs well in a race. This bonus is a part incentive and part reward. 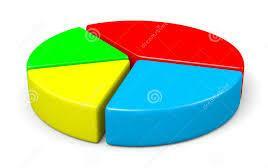 The trainer receives 10% of the stake money payable to the owner, and the driver 5%. That’s all good and I have no argument with it. All I ask is that a small percentage is also tagged for the person who started it all in the first place – the breeder. Currently, their need for a return on investment is recognised only once, when (and if) a sale takes place to the first owner. Or possibly over a long time as the mare builds a reputation – although having good siblings is no guarantee that a particular yearling will sell for a reasonable price. Often, the return to the breeder will hardly cover costs. 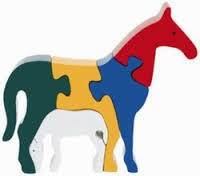 If the horse goes on to be successful, there is no bonus for the breeder. How can breeders get a fairer slice of the pie? It is tempting to say, as some do, that increasing the overall stakes will give a bigger return to breeders because so many breeders are also owners. It ignores the fact that many breeders may be owners of horses not by design but by necessity because an young untried young horse is damn hard to sell. For many smaller breeders, an early sale is unlikely to cover their most basic service fee and raising costs. 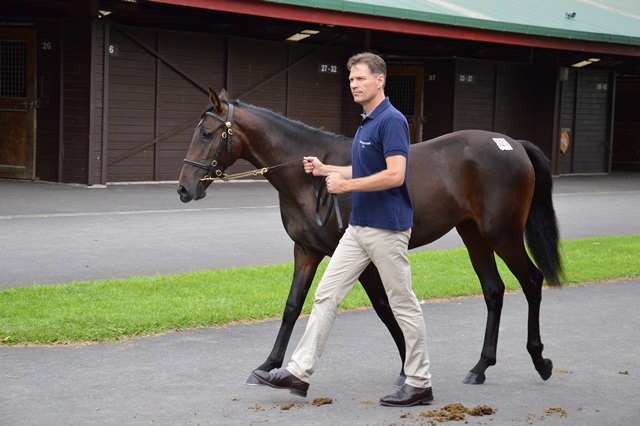 Breeders often end up carrying their foals for another year or so until they get to a point where they are able to be trialled for racing – and then sold, if lucky. In the past, carrying that cost was easier as there was more access to cheaper land. That is no longer the case. We all contribute to the end result. 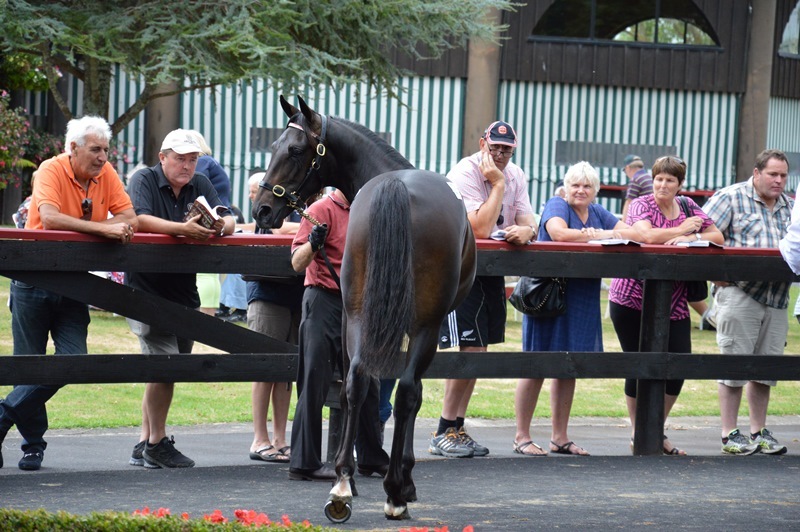 one that rewards the original breeders of racehorses rather than those who buy a mare. one that is tagged to performance. one that is partly self-funding and partly a fair payment by the industry to those who produce the raw material of our industry success stories. one that can be tweaked as necessary to encourage desirable breeding trends. Next blog, I look at how it could work. So where do breeders go to get a return on their investment? How do breeders react to the current choices for the future? 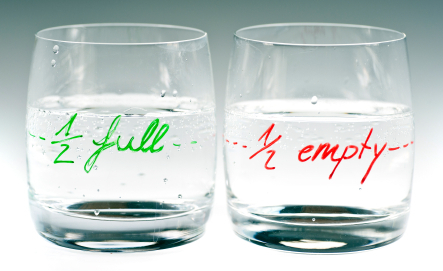 I’m a positive person, so I will opt for the latter. But to do that, I need to ignore some signals from the “market” which tell me that breeding is such a high risk industry with such a small conservative market (at any age or ability of your horse) that it is not a viable option to even cover your real costs. Unless you do exactly this, and exactly that. And then cross your fingers. Are we really going to attract new breeders into this situation? Personally, I have taken risks and been lucky, but many have not had the same rewards. And I feel for them. It could well be me next time. It has been in the past. The issue is this: the commercial and hobby side of breeding need more positive and consistent signals from the industry to keep going. If the signals are as short-term and limited as: “Breed your best mare to Bettor’s Delight or Art Major” – then I am out of here. Because that is a blinkers on and ear plugs in, and we are steering into a corner. Industry signals need to be medium term and consistent. Breeders are in it for a long haul. Decisions we make take effect 2 or 3 years later, or more. But the current signals (e.g. market prices) are impossible to meet without the whole production line narrowing to short-term output. These sires. These families. These types. Tick the box. Innovation and commercial development has never originated from such a narrow perspective. Merely fulfilling the current market is not enough for a product like ours that develops over time and often from outside the square. Most successful industries look to grow their product and diversify their markets and risks. Those that take high risks get high rewards. So why are we moving in the opposite direction? And why are we treating many “hobby” breeders as donors to our overall industry, letting them take the loss, year after year, of finding and developing the product that will take us into the future? Would any other viable industry work this way? Are many breeders falling into a local Trade Aid category? Or is there a role for an R&D development fund that supports breeders who are willing to risk their personal investment in finding new and exciting directions? Well, I’m asking the questions at least. I will look into this in more detail before the Breeders Assn forum in Auckland in March. Hopefully this will help stimulate some good debate about core issues. Last November I flagged up to blog followers the successful Shadow Play horse racing in Argentina – and indeed the fact that there was harness racing in Argentina at all!! Well, the horse – Chucaro Acero BC – is coming to Meadowlands to race tomorrow. I’m not fussed about the results, just love the fact that we have an international industry and some countries coming in from left field. A bit like the Cricket World Cup (currently in New Zealand, gorgeous weather, great pitches, fantastic matches unless you are from England) with the standardbred “minnows” like Argentina still able to try to rattle the big guns, and learn from the experience. And yes, I do like Shadow Play as a sire that can give depth to our pedigrees. 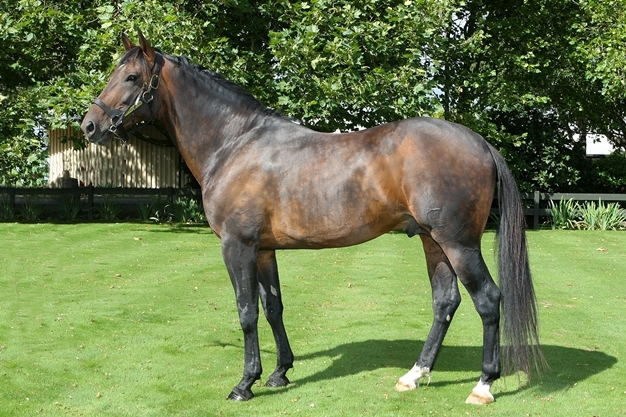 I am a little tired of the focus on such a limited sire pool at the top end of the market. You can find out more about Chucaro Acero BC on harnessracingupdate.com – their newsletter is always a breath of fresh air and easy to read. I’m flat tack at my day job, folks, and haven’t been to the Christchurch sales. From what I see of the results, it seems to be a bit of a roller coaster. Demand yes, but so focused that breeders are getting a “50 Shades of Neigh” workout for anything that goes outside the parameters that owners and therefore trainers want. Some lovely bargains for those willing to shop around. Pleasure for some, pain for many. And a lot of vendors opting not to give their horses away. Give me the weekend and I will post a blog after I see all the results. 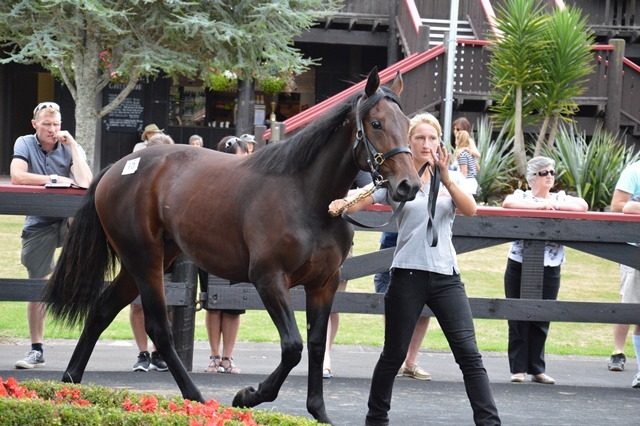 Quite different from the Karaka sale, whatever the spin doctors say. Patrick – good on you for selling Standing Bear (Lot 268) for $15,000. A lovely looking yearling by The Pres. 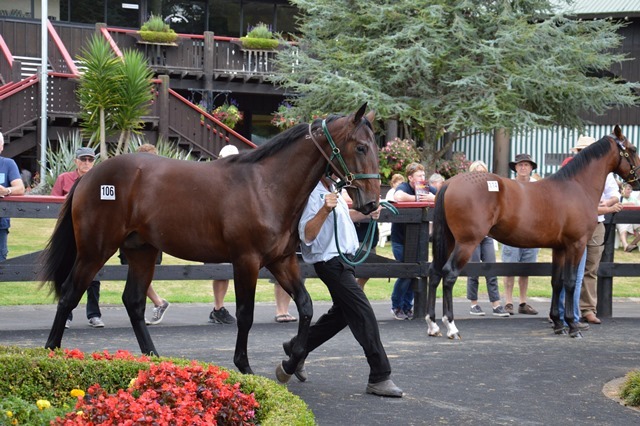 Lot 147 Fiscal Madness, from a Love You mare by Revenue, sold for just $7.500. Maybe he had a leg missing? Lot 456 was Joe Louis that I featured because of his lovely outcrossing pedigree. Not that it means tickey boo to the buyers, although he did sell for $22,000. 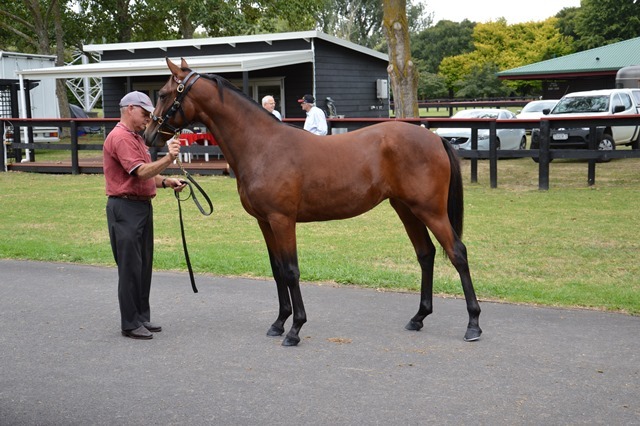 And Lot 201 was a foal called That’s The Story by mare Bree from Monarchy. He didn’t meet the reserve of $25,000. Do these results reflect the outcome for those yearlings? Their quality? No. We will follow them and see what happens. But again, the current market results in the breeder taking huge risks, often not recognised at the time. If the odds turn out in the breeder’s favour – if the horse turns into a winner – I would love to see that breeder rewarded. At the moment, breeders are carrying an unfair burden of developing our breed. Let’s hope the upcoming Breeders Forum in Auckland in early March starts really opening up the conversation around this issue. 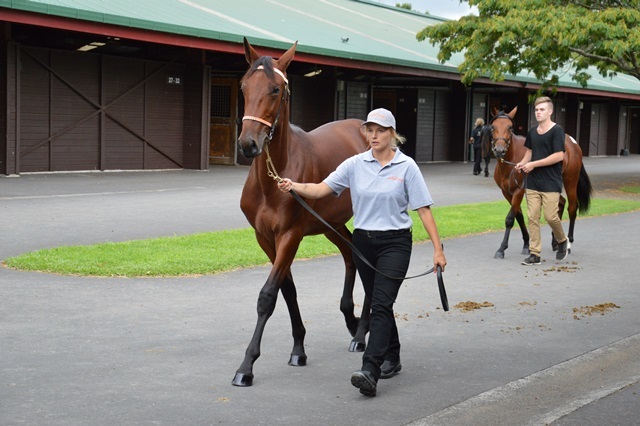 While the Auckland sale left me with a bit of a buzz, the Christchurch sale appears at first sight to be a bit of a fizz overall, although some good results for some lots would cover the risk for some bigger breeders. 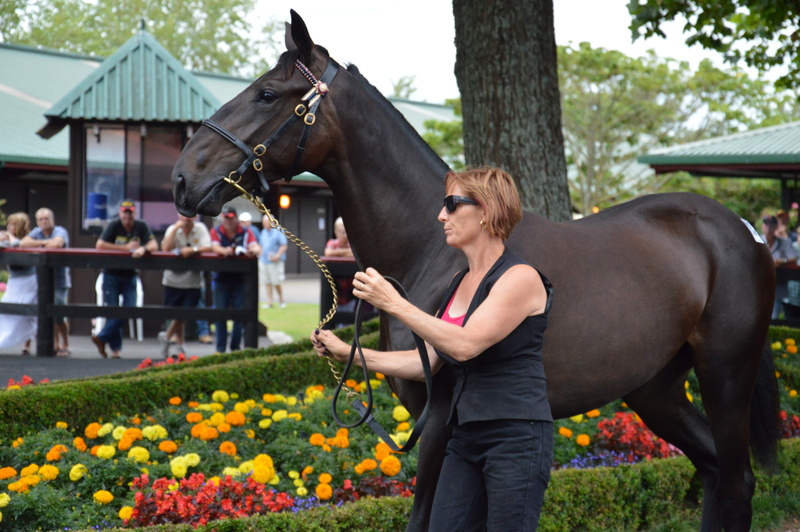 Buyers gave a very clear signal they are willing to pay for quality racing colts. When the stars aligned – nice type, proven sire, good performing family – the prices were much better and more consistent across the middle range than we have seen for years. The middle range appears (haven’t done the maths yet) to have beefed up especially in the $30-40,000 range, which is what was missing previously. Some very high prices will capture the limelight, but a strong middle market is what caught my eye. The downside is that fillies again were heavily discounted (although there were some notable exceptions, and I think the fillies average price will also come up quite a bit). But you know how sceptical I am about “averages” and what they tell us, so I will do my own analysis. Newer sires were hardly present, and those that were had an uphill battle. 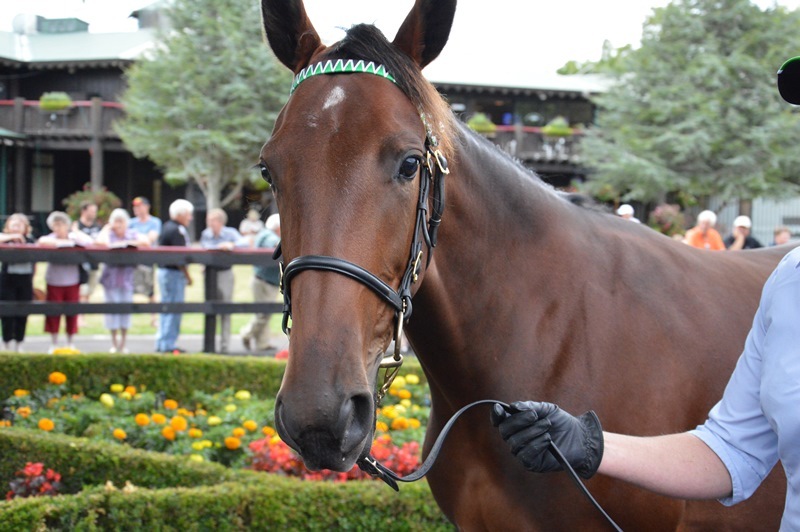 A beautiful very big filly by Big Jim (Lot 128) went for just $7000 – all she needs is time. A Gotta Go Cullect colt out of a Bettor’s Delight mare (Lot 22) from a decent family went for $15,000 – the Bettor’s Delight damsire factor not helping enough to overcome the view of Gotta Go Cullect as a “cheapy” sire. The Tintin In America filly (Lot 80) was passed in at $7000, but had a highish reserve on her and Leanne Edwards was quite keen to take her home and try her out. 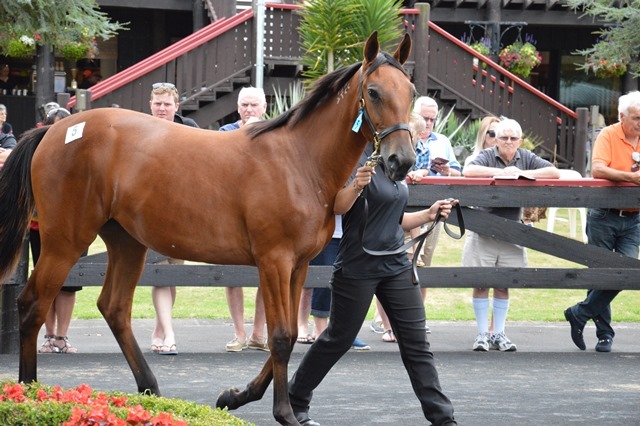 (Just an aside: The Tintin filly in the Brisbane sale went for $19,000). 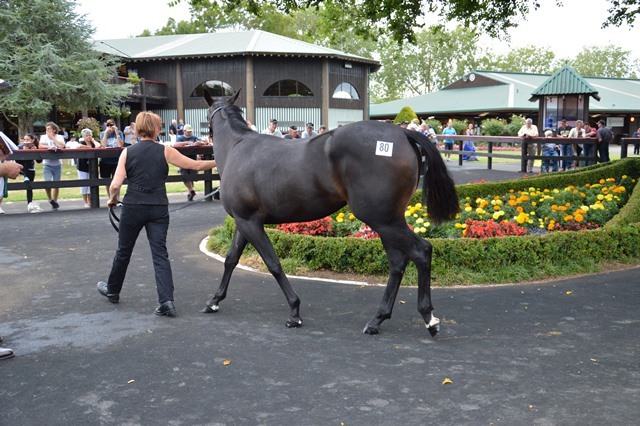 Changeover had a colt and a filly in the sale – the colt sold for $20,000 and the filly passed in a $6000. 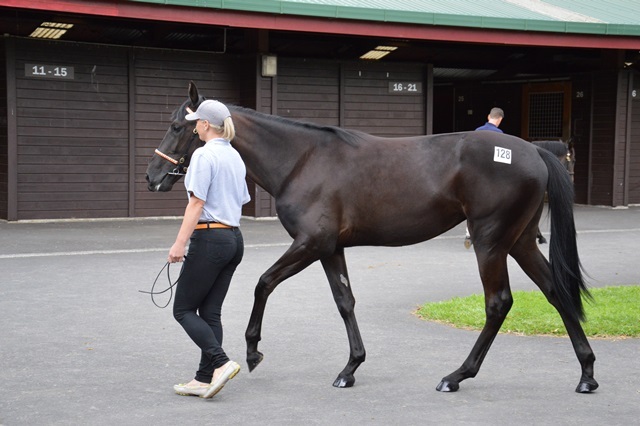 The Sportswriter colt (Lot 7) from a 2 win mare was sold for $20,000 – very hard to get a line on how he is being received until after the Christchurch sale. Rock N Roll Heaven’s colt (Lot 50) went for just $22,000, and his filly (Lot 110) could hardly get a bid, although buyers know the Highfields Bloodstock team will have a high reserve on all their fillies, so may not bother bidding. As always, breeders will do the hard yards and take the knocks until newer sires are more proven, but even in the case of a sire who is showing up well (like Changeover) it is clear that buyers and the Austalasian Classic Sale in Auckland are not interested in paying higher unless the sire proven and regarded as among the elite ones or a filly is from one of the top families. There will always be exceptions, as my Real Desire colt showed last year when he sold so well. But they will be few and far between. The sale has again, I guess, found its niche. 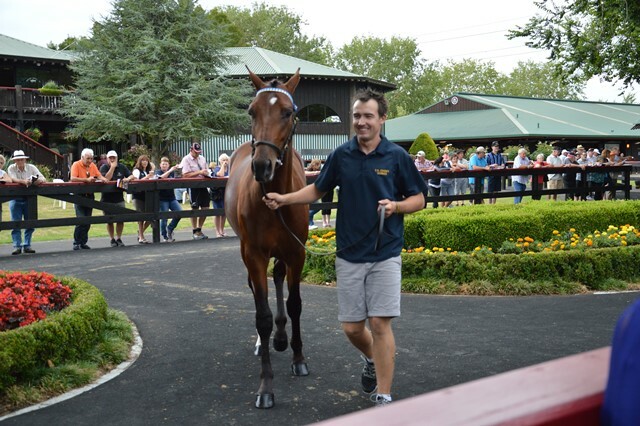 The sales kicked off today on overcast but warm weather and with a great display of top bred horses. They look great, a credit to the hours put in by the breeders, owners and preparers. Tomorrow reality kicks in. Prices will probably result in an raised average, but also in some investors going home disappointed. There is a wealth of some breeds, some sires and some types, so buyers have the ability to pick. As always I will be more interested in the median rather than the average – as an indicator of breeder health for the future. As you all know, I am not fixated on the top end of our industry but more concerned about quality and depth and width. So I was out there today with my camera trying to capture some of the horses that are top lots, but far more some that may fly under the radar but deserve a second look. Haven’t got the time tonight to sort out all the photos I took – but here is a selection that captures Parade Day. 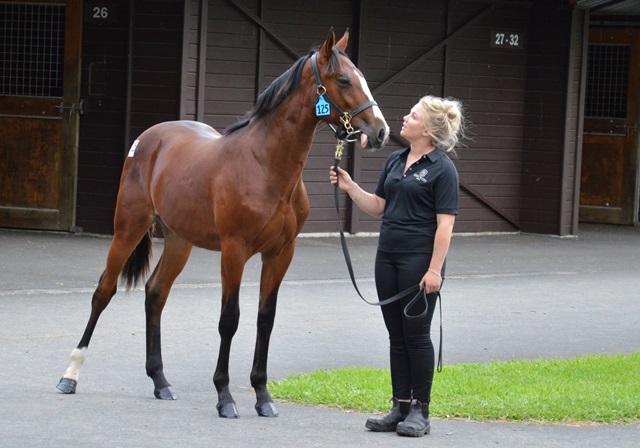 Can I just suggest that Mrs Zippy looked lovely, the Tintin In America filly scrubbed up real good, the Big Jim filly was huge but will have an exceptional reach if you are willing to wait just a year, and I think I might have fallen in love with Lot 23. Yes its a filly, but if you know me that is no surprise. Eyes were all on Lot 106, the bro to Adore Me and he was a stroppy handsome colt. Of the boys, lots to like. Probably one outside the square is 125 with a big blaze and some nice breeding. Too many to talk about here. But let’s see how it plays out tomorrow. …to the not so big.